The developers of incredibly insane Saints Row game series do not stop surprising their fans with the abundance of strange things in the fourth instalment of the franchise. 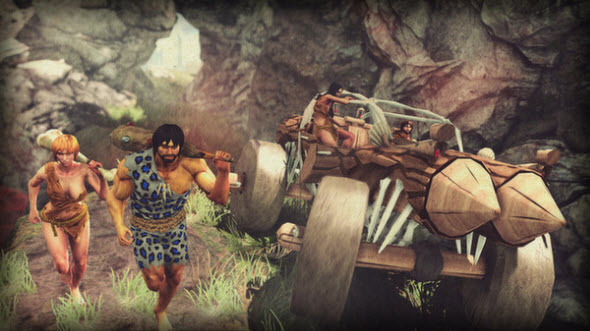 Thus, yesterday, they released new Saints Row IV DLC, entitled Stone Age Pack. This add-on, as you may have already guessed from its title, will bring you (and your friends) to the world before the dawn of history, i.e. in the Stone Age. 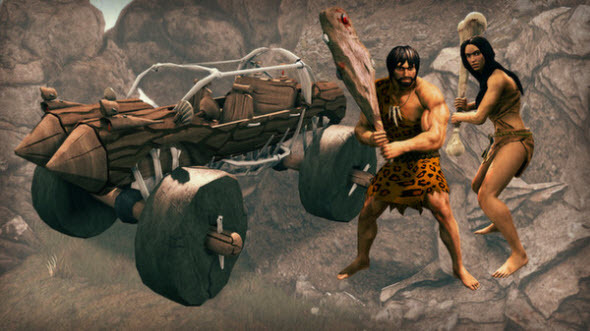 Here you will be able to change your old costumes to the new “trendy” outfits of the Palaeolithic Age - the animal pelts, - arm yourself with a big legbone of some unknown prehistorical species, and drive an exclusive high-tech vehicle that looks like the Flintstone's car (if you know whom we are talking about). New Saints Row 4 add-on costs only $2.99, and it is already available for download via Steam, Xbox Live and PSN networks. But in order you are able to imagine what you are going to buy or, to be more exact, how new suits, weapons and vehicle look like in this Saints Row IV DLC, we offer you to evaluate some its screenshots, published below. Are you going to buy this add-on? Are you interested in such prehistorical attributes? We are always glad to see your answers in the relevant section at the bottom of the page.